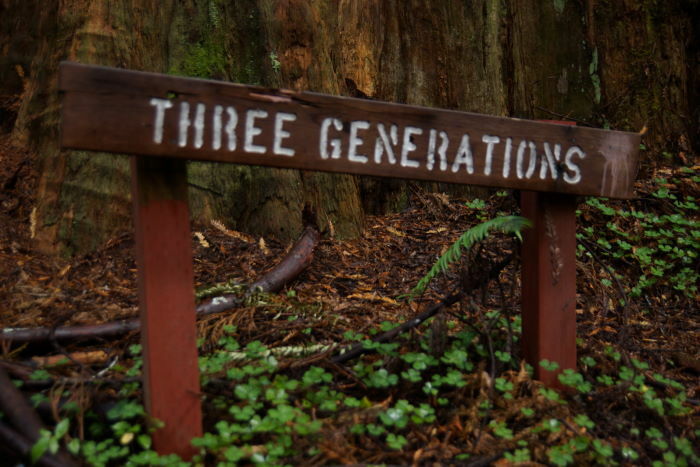 You will have many opportunities to walk amongst the redwood trees in northern California, but there’s one grove that comes as a nice surprise. 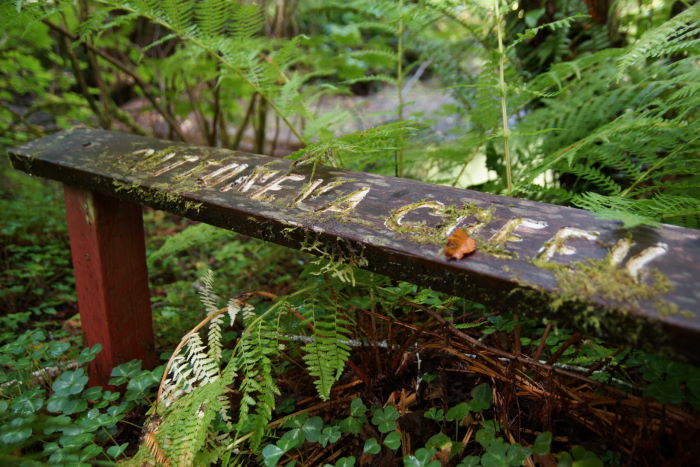 It’s located alongside Highway 1, just after you leave the coast behind, and head inland. There’s no admission fee, and no gift shop. 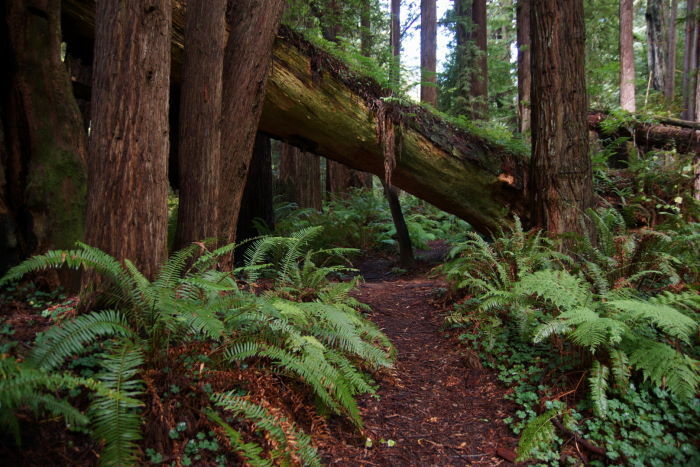 It’s just a small, easily accessible trail that threads through some giant trees. 21 miles north of Fort Bragg, the Shoreline Highway (California 1) makes a sudden turn inland. 5 miles further, watch for a turnout on the left side of the road (for northbound travelers). It’s another exhausting 17 miles of tight curves to get to Leggett and US 101, so you can use the break. I remembered the section of Shoreline Highway between Leggett and the Coast. I drove it in 2007, shortly before dark, and it was rough. I was anxious to get to Fort Bragg for the night and get some rest. But all those curves were slowing me down. It seemed like forever before I finally made it to the first view of the Pacific. On this trip, as I turned away from the ocean, I thought I knew what to expect. The next hour of driving would be frustratingly slow and devoid of scenery (aside from all those trees). But then, I noticed a much-welcomed excuse to stop. And I did. 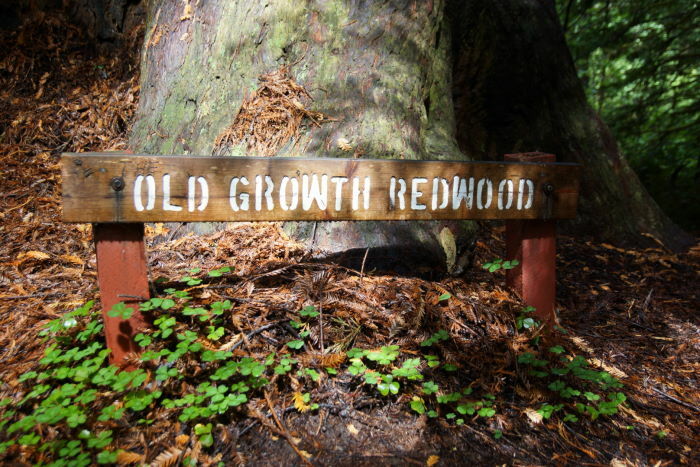 The Mendocino Redwood Company maintains this simple little redwood grove. That means you’re not in a national park or state park, and there’s no admission fee. There were also no people. 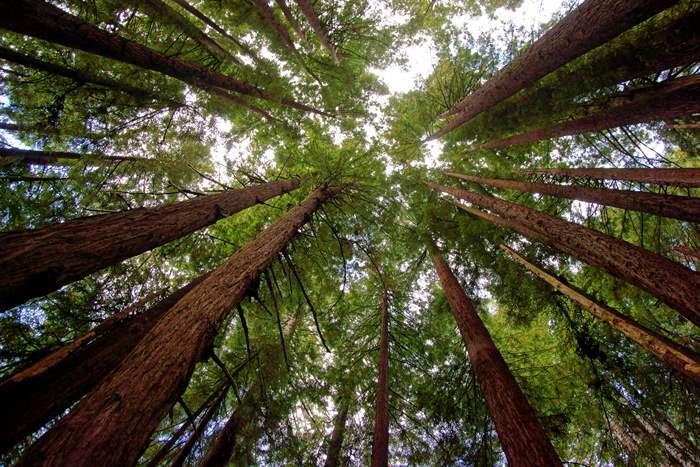 I parked my car and wandered into a beautiful stand of redwoods. The trail runs, more or less, parallel to Highway 1, so your moments of Zen will occasionally be interrupted by the sound of passing cars. 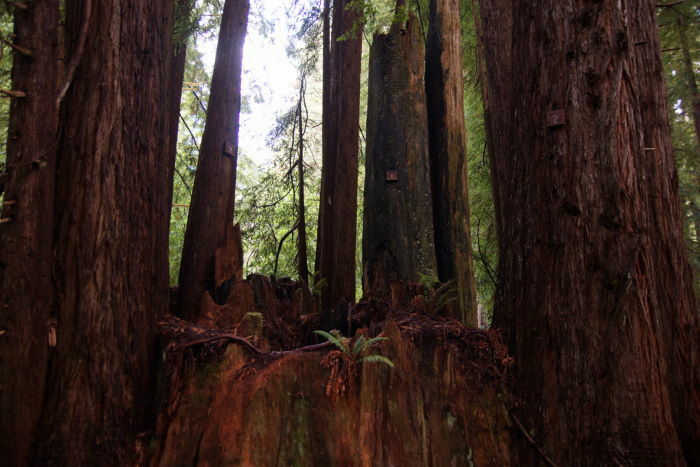 But in between the traffic, this little redwood grove provides a great experience. There are a few signs that explain what you’re seeing. It’s all rudimentary compared to a more developed park, but it gets the job done. The sounds of Cottaneva Creek appear when the traffic on the highway goes away. The creek runs on the opposite side of the grove, parallel to the path and to the highway. Redwoods aren’t the only plants on display here. 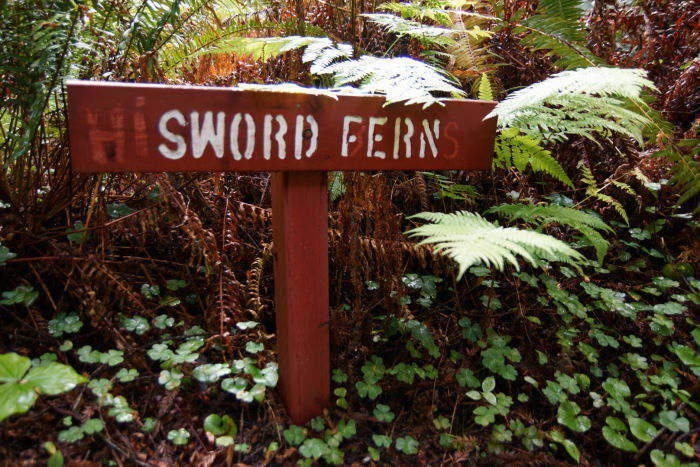 There are oak trees and sword ferns, and of course, lots and lots of moss. 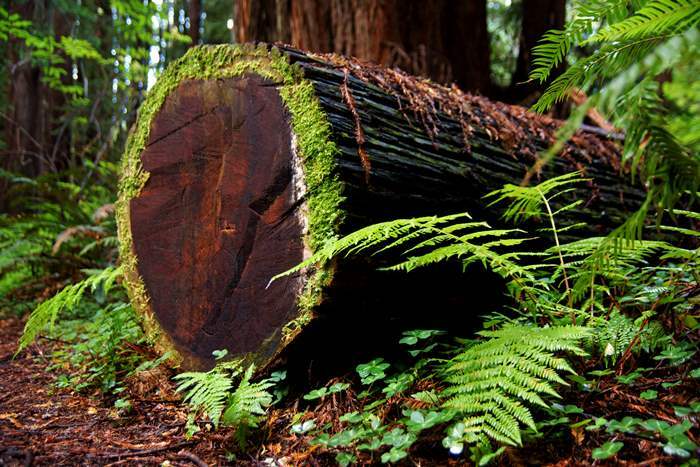 … shows how a fallen tree provides a “nurse log” from which another tree can grow. When it falls, yet another tree springs up. Sit an enjoy it for as long as you want. Eventually, you’re going to need to tackle the rest of the curvy drive to Leggett, or to the coast, depending on your direction. 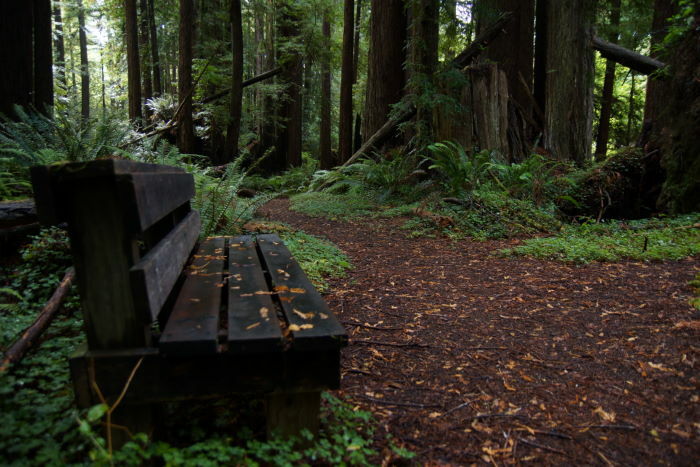 If you have five minutes or 20, take the time to stop at the redwood grove alongside the Shoreline Highway. It’s free, and it’s easy to hike, so there’s no reason not to.